Madge Walls was a licensed Realtor and real estate instructor in Hawaii for 14 years. She is the author of the novel Paying the Price. She currently lives in Colorado, where she is writing a sequel to her award-winning book. Madge recently took the time to chat with Love to Know regarding Realtors and the process of purchasing a home. Are Realtors able to offer advice to their clients with regards to choosing a lender? Realtors usually have several lenders with which they have established a good working relationship. They have learned through experience that these lenders will provide open and frequent communication with the buyer and keep the Realtor in the loop. They know these lenders are honest and will work tirelessly to find the right loan product for their buyer. Lending is so complex these days that it almost takes a tour guide to acquaint a buyer with all the options available and help him decide which product is the best fit for his circumstances. The best practice is for a Realtor to recommend three lenders and let the client chose the one they are most comfortable with. If the buyer already has an established relationship with a lender when he walks in the door, then of course the Realtor should respect that relationship. Should You Use the Same Agent to Sell and Buy Homes? Do You Need a Buyer's Agent When You Buy a Home? What is a buyer's agent, and why should potential buyers use one? Historically, all real estate agents worked for, and were loyal to, the seller, even if they appeared to be working for a buyer. In recent decades, buyer agency has become common and certainly clears up some confusion. A buyer's agent works exclusively for a buyer. With buyer agency, the agent has a fiduciary duty to the buyer. He cannot disclose confidential information about the buyer, and must always be guided by the buyer's best interests. Explain the difference between pre-qualification and pre-approval. "Pre-qualified," "pre-approval" and "loan commitment" - these terms are sometimes used interchangeably in conversation, but each signifies a different level of approval from a lender. Loan pre-qualification is typically based on what you tell a lender but does not include an analysis of your credit report or an in-depth look at your true ability to buy a home. Your lender, your real estate agent or you yourself can run your financial figures through a simple formula, on paper or online, and find out in general what loan amount, based on current interest rates, you qualify for, assuming good credit. When you are pre-approved for a mortgage, the lender has examined both your credit report and your income and determined that you do qualify for a loan. He will give you a maximum loan amount, explain which loan programs for which you qualify, and disclose the interest rates the bank on various types of loans. With a pre-approval letter from a lender, you can shop with confidence, but it still isn't a guarantee that the lender will approve the loan. 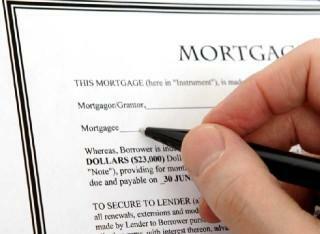 A loan commitment is issued after a lender has approved both you and the house you wish to purchase. Among other things, the house must appraise for the purchase price or higher. "Red flags" noted by the appraiser, such as foundation issues, mold, or termite damage (a big issue in my home state of Hawaii) must be addressed. Earnest money is a deposit, usually in the form of a personal check, that a purchaser gives to accompany an offer to purchase. An earnest money deposit indicates good faith on the part of the purchaser and may provide readily available damages for the seller should the buyer default on the purchase. The deposit may be held uncashed prior to acceptance at the direction of the purchaser, or deposited in the broker's trust account. The customary amount or percentage of purchase price varies in different areas of the country. And of course the amount of earnest money is negotiable. Is it acceptable to ask sellers to pay all closing costs? Most of the terms in an offer (except those set by law) are negotiable, including the payment of closing costs. Depending on the loan product/program and the amount of money that is borrowed, a seller can pay up to six percent of the purchase price for the buyer's closing costs. It is important to remember that if you want a seller to pay closing costs, you must specify this in your written offer to purchase the property. This is a great way to qualify a buyer who has very little cash, if the seller is willing. How much commission do Realtors generally make? Commissions are negotiable between the seller and the listing broker. Any attempt by members of the real estate community to "fix" commissions is considered anti-competitive. The Federal Trade Commission enforces laws against individuals or companies that try to stifle competition. What is the best piece of advice you can give potential homebuyers? The best piece of advice I could give a prospective home buyer would be to choose a real estate agent that is highly recommended by someone you trust. You want an agent who will work hard for you and protect your interests, someone who knows the area and won't stop until she finds the right home for you. Don't hesitate to use a new agent. She'll have much more time for you and lots of enthusiasm. You also should do your homework. Much information is available on the Internet, and spending time there is time well spent. But nothing can replace a dedicated, hardworking and knowledgeable real estate agent who works diligently for you. And if she has a good sense of humor, all the better! Visit the website for Paying the Price to find out more about her intriguing novel and the novel's main character, Realtor-heroine Laura McDaniel of Maui. See reviews for the book at the Amazon.com website.